Main Line Newcomers Club - for new arrivals become old friends. We are a social club for people of all ages who live on or near Philadelphia's Main Line. Membership is open to new arrivals and established residents who are interested in making new friends and welcoming people to our community. Spend a little time exploring our site. If you would like to know more join us for one of our Meet & Greet events or write to us. To become a member complete the online membership form. Whether you hit balls, paddle, play cards, throw dice, explore new places, volunteer, cook or eat we have something for you. So join us, make some friends and have some fun! We host informal get togethers, every month or two, for new and prospective members. This is a wonderful opportunity to meet members of the club and learn all that the MLNC has to offer. Please join us, we would love to get to know you! 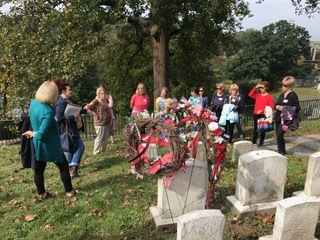 The Gallivanter group made recent trips to Pennsbury Manor and the historic Laurel Hill Cemetery. 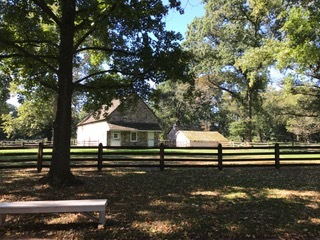 See the members' page for more pictures.